Just stir the softened acai in a bowl (mix in peanut or almond butter if you prefer) and add as many toppings as you want! I added some organic peaches (hint hint, 3 Natives!). I also mixed in a little bit of raw honey and dang coconut chips. 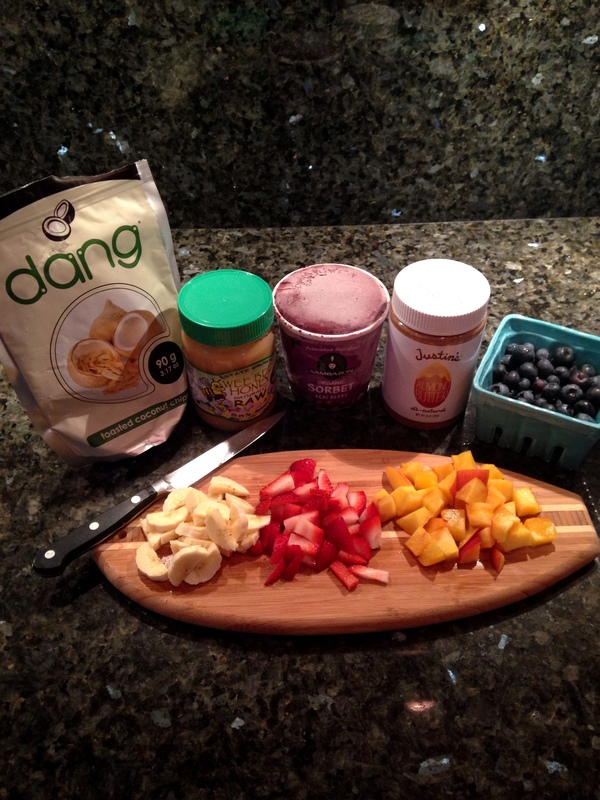 If you haven’t tried dang, you haven’t truly lived..just saying. I also like to add some bee pollen, maca powder, and vanilla granola too.